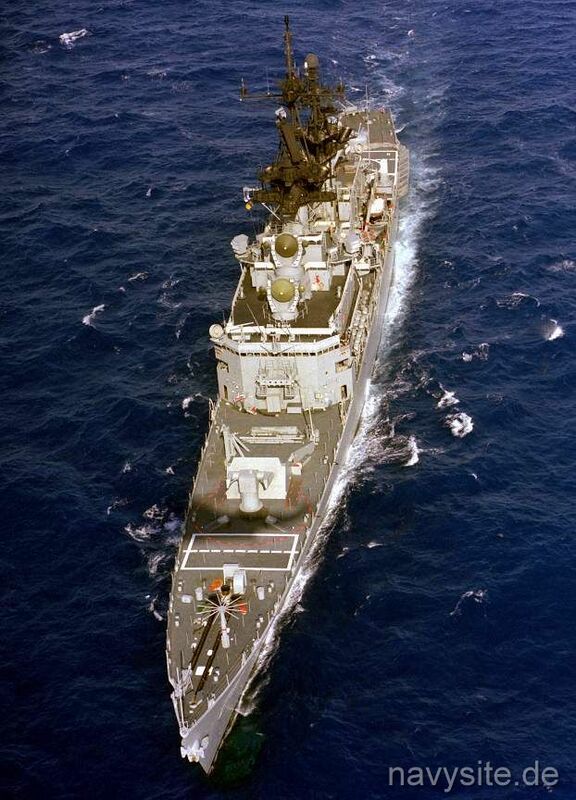 USS BELKNAP was the lead ship of the BELKNAP - class of guided missile cruisers and the first ship in the Navy to carry the SH-2 helicopter on deployment. 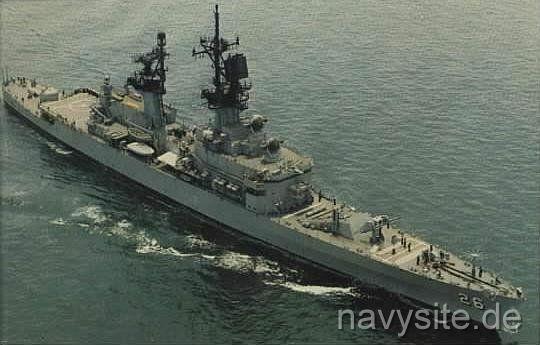 In April 1986, BELKNAP relieved the USS CORONADO (AGF 11) as the Sixth Fleet Command Ship and was homeported in Gaeta, Italy. 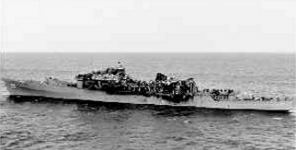 Later, the BELKNAP was relieved by the USS LA SALLE (AGF 3). 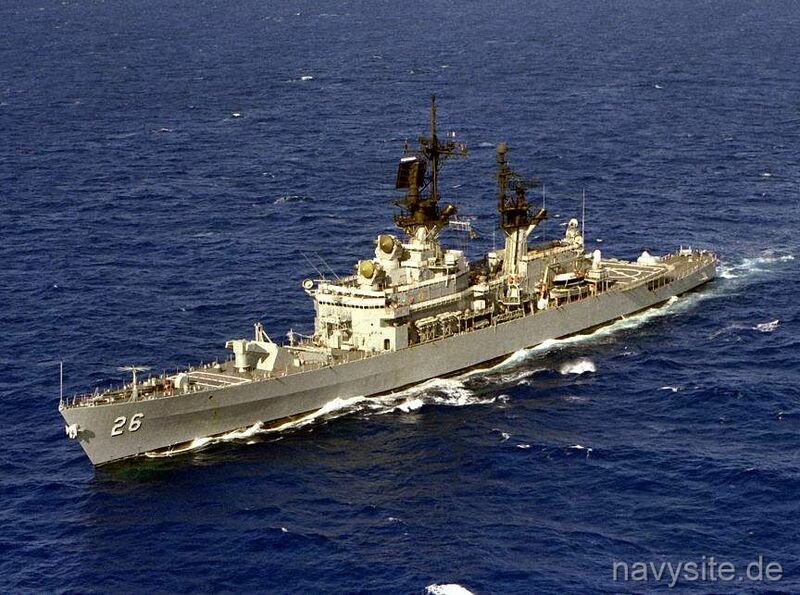 In 1995, the BELKNAP was decommissioned and about 3 1/2 years later she became the "victim" of a Sinkex of the Navy. The BELKNAP was sunk on September 24, 1998, off the east coast of the United States. The exact location is 036° 31' 00.3" North, 071° 58' 00.5" West. Builder: Bath Iron Works, Bath, Maine. This section contains the names of sailors who served aboard USS BELKNAP. It is no official listing but contains the names of sailors who submitted their information. 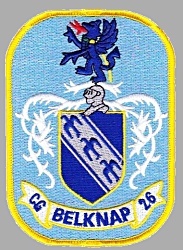 Click here to see which USS BELKNAP memorabilia are currently for sale on ebay. miles off Italy USS BELKNAP is involved in an oil spill during refueling with the USNS WACCAMAW (T-AO 109) in the Ionian Sea. east off Sicily, Italy USS JOHN F. KENNEDY (CV 67) and USS BELKNAP collide in rough seas at night during air exercises east of Sicily. 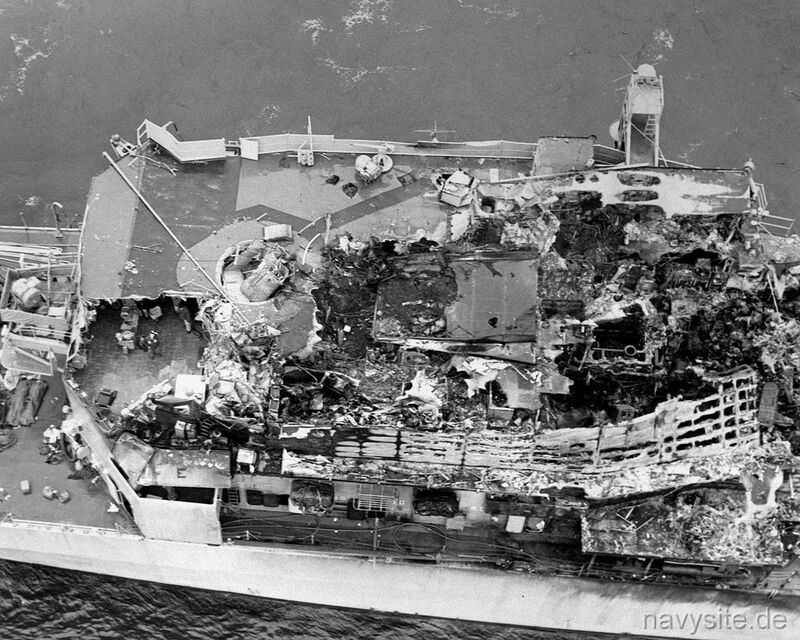 The overhanging flight deck of the carrier cuts into the superstructure of the cruiser setting off fires on the BELKNAP which are not controlled for two-and-one-half hours on account of frequent flarebacks. Because of the presence of nuclear weapons on board both ships the commander of Carrier Striking Forces for the Sixth Fleet sent a secret nuclear weapons accident message (a "Broken Arrow") to the Pentagon, warning of the "high probability that nuclear weapons aboard the BELKNAP (W45 Terrier missile warheads) were involved in fire and explosion but there were no direct communications with the BELKNAP at that time and no positive indications that explosions were directly related to nuclear weapons. 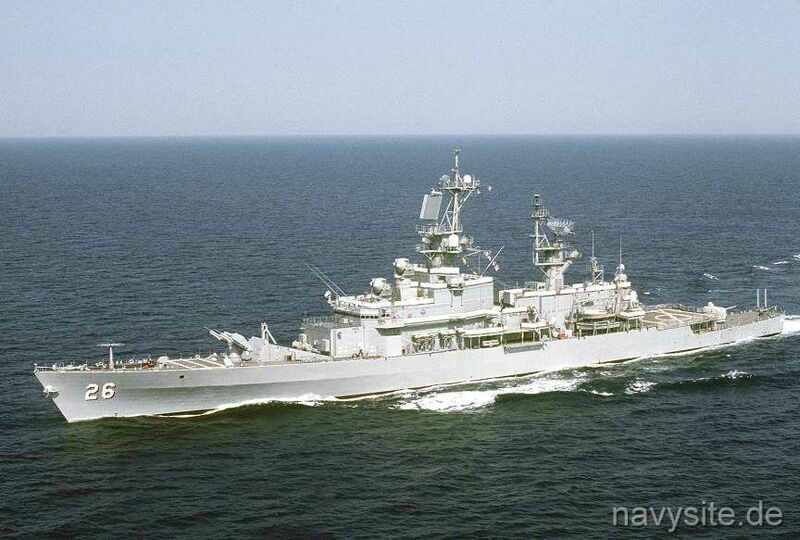 An hour after the Broken Arrow message was sent the USS CLAUDE V. RICKETTS (DDG 5), alongside the BELKNAP fighting the fire, reported that BELKNAP personnel said "no radiation hazard exists aboard". Seven people aboard BELKNAP and one aboard the KENNEDY are killed. The sailor aboard the KENNEDY died from smoke inhalation when he entered a smoke filled compartment without an OBA. 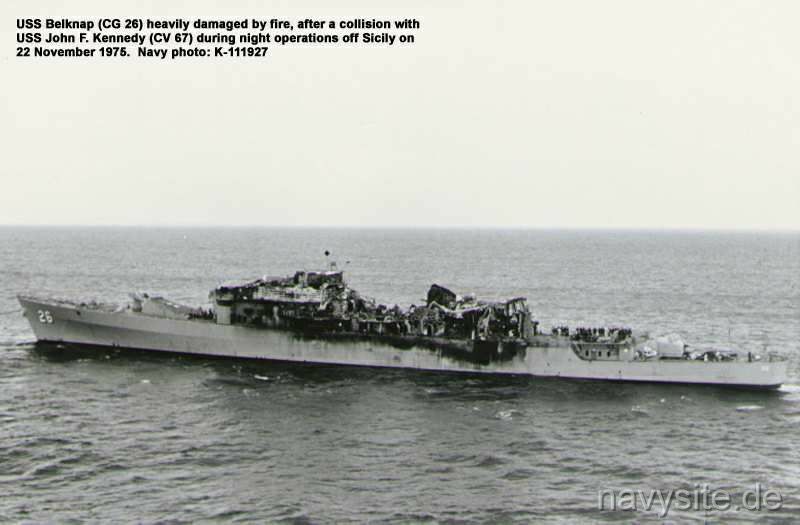 Both ships got assistance from other ships: BELKNAP had three other ships helping her and the JFK had one. The BELKNAP suffers serious damage, is put out of commission, and towed back to the US to effect repairs lasting four years. BELKNAP's destroyed superstructures were rebuilt at the Philadelphia Naval Shipyard from 1978-80. 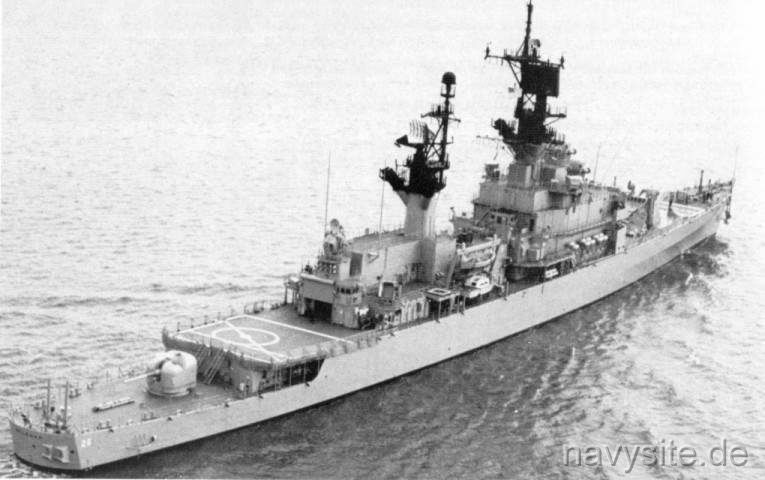 BELKNAP rejoind the fleet in 1980. Smaller fires and other damage aboard USS KENNEDY are quickly contained and the carrier continues operations.